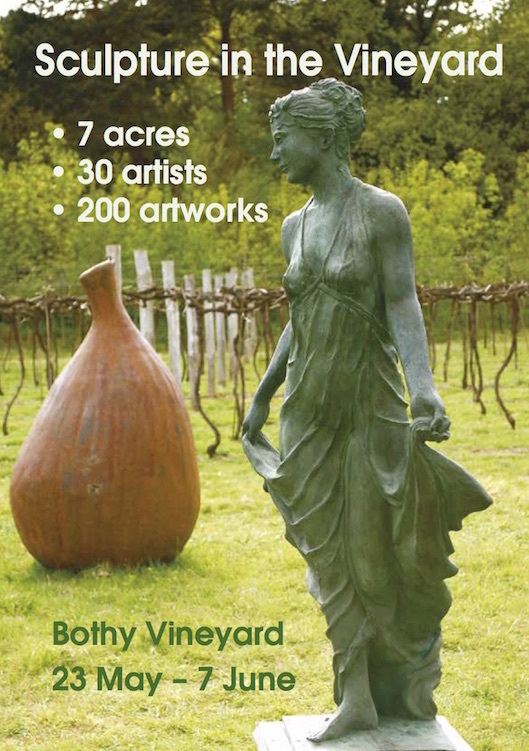 160 outdoor sculptures, produced by over 30 local and UK-wide artists, will be sited around the 7 acre grounds of the county’s oldest vineyard, drawing visitors through the vines, orchard and wildlife areas. These large sculptures depicting a wide a variety of subjects and styles will be on public view, variously made from glass, bronze, marble and stone to wire-mesh and composites. A further 40 indoor pieces will be on show in the working winery so that visitors will be able to admire the artwork in between the fermentation tanks, barrels and press. There will be a seating area with refreshments where you can relax after an enjoyable stroll around the vines.